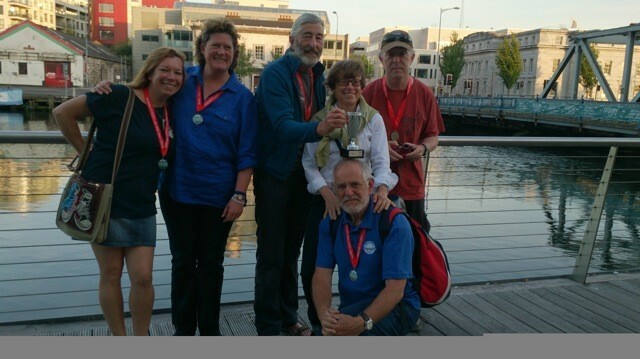 The boats in the Traditional Division of the Carrow Cup were racing for the Carrow Bi-Centinary Silver Bowl, which was given last year by The Norwich Society and River Wensum Partnership. 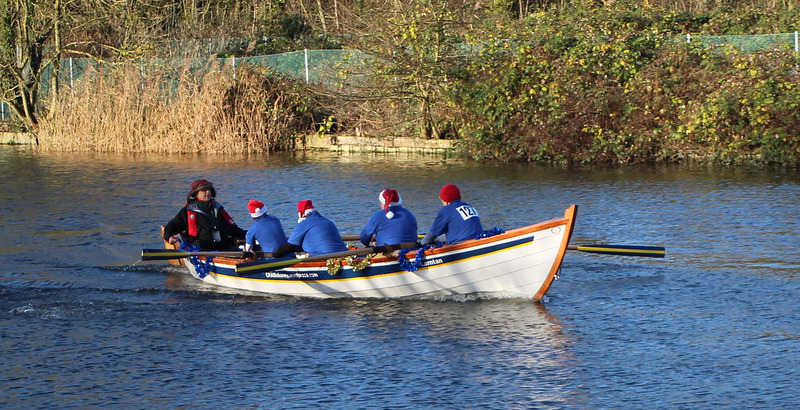 It was won again by the Lower Thames RC in their Hanningfield hybrid skiff. 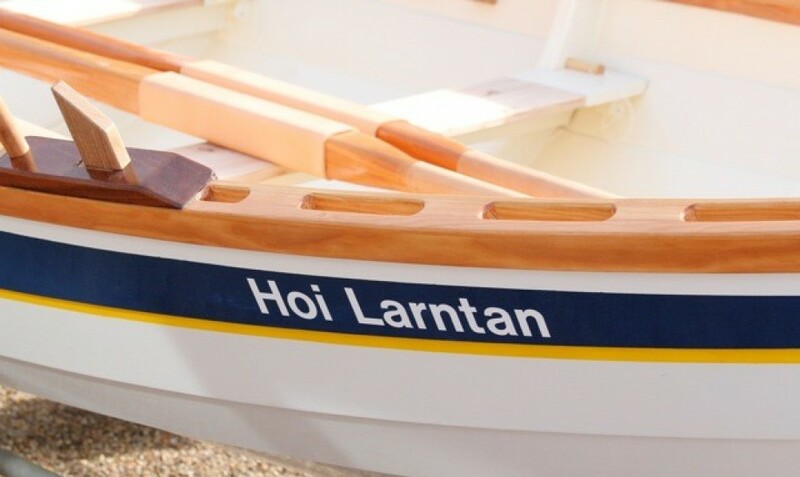 A beautiful day with flat water meant that sea boats like ours were not in with a chance overall so amongst CRABlakeney members the real tension was in the head-to-head between our two boats – Hoi Larntan rowed by the women and Bluejacket rowed by the men. As you may have heard mentioned (endlessly?) the women beat the men with a time of 19mins 02secs to their 19:49. 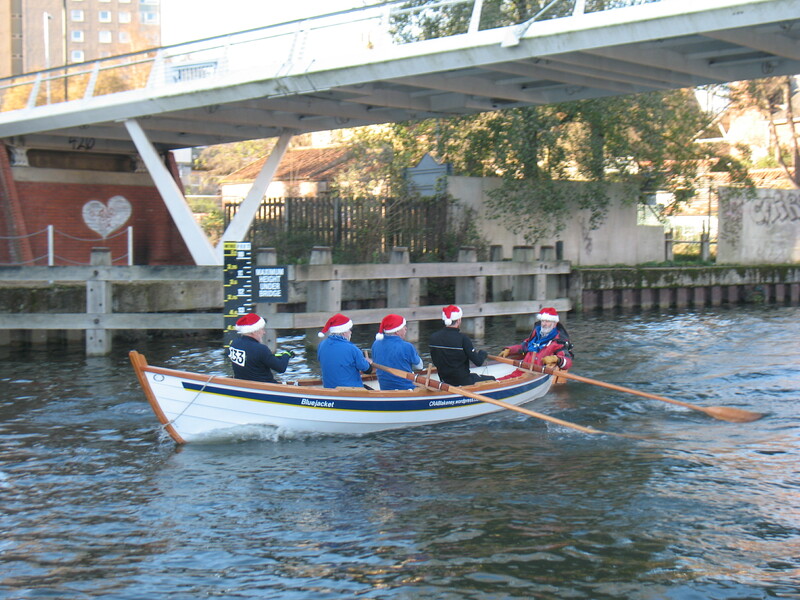 Perhaps a small consolation for the men was the fact that the race time (before applying handicap) was in their favour (23:34 v 25:09)……………but then again it was the FIRST outing as a crew for the women. Something to discuss over the winter, starting at the AGM on Thursday 11th December. CRAB, with members of Langstone Cutters, in Hoi Larntan won the fastest 4 oared wooden boat trophy, and were second in the prettiest “hand built” category at Cork Ocean to City Maritime Festival last weekend.